Charlie Lee is the creator of Litecoin, the most popular alternative currency to Bitcoin, which Charlie created as a side project in 2011 while working at Google. Today Litecoin has a market cap of $3.29Bn. 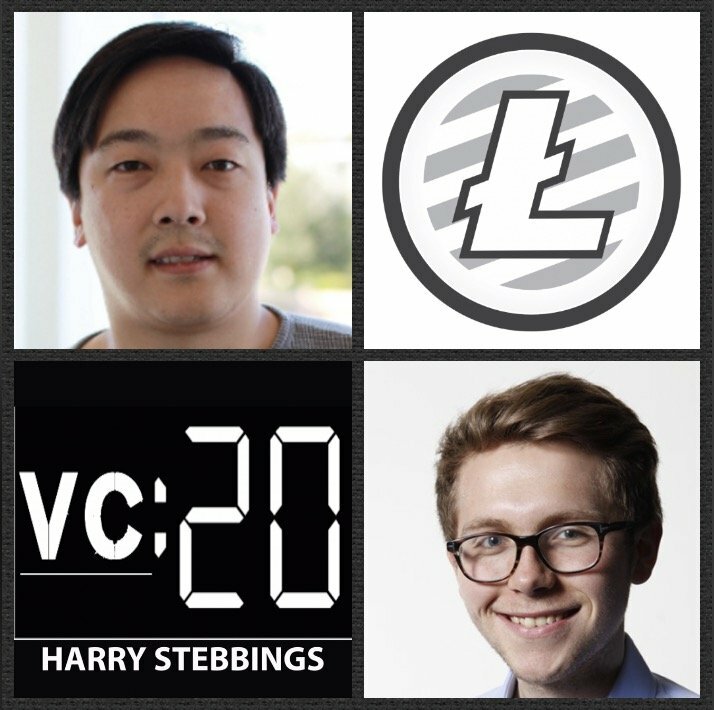 As well as creating Litecoin, Charlie has also been the Director of Engineering @ Coinbase, working alongside recent 20VC guest and Coinbase founder, Brian Armstrong. Prior to this, Charlie held roles at Microsoft, Google and Guidewire. 1.) How Charlie made his way from Google to Coinbase to founding Litecoin in his free time? What were Charlie’s biggest takeaways from being at Coinbase? 2.) What does Charlie believe is the biggest barrier to the world of cryptocurrency and BTC? What is the holy grail to securing this and the future of the space within mass consumer usage? 3.) How does Charlie think about the largest problem for crypto and BTC, scaling? Why does Charlie believe that Ethereum will have large problems scaling? How does Charlie assess the balance of centralization, scaling and transaction efficiency? 4.) Why is Charlie’s biggest concern the current ICO market? Why does he believe it is the “wild west”? What happens to alternative currencies when the ICO market crashes? Who are the ultimate winners in the ICO markets? 5.) How does Charlie analyse the differing communities when comparing ETH to BTC to LTC? Does community serve as a core form of IP for currencies and their stability moving forward? most popular alternative currency to Bitcoin? Stebbings is just a marketroid BS artist. How old is he, 12? Litecoin is a fork of Bitcoin with some mods to allow more blocks. There’s only really one cryptocurrency, and that’s Bitcoin. Everything else is a copy. I do agree with Charlie that the ICOs for the most part are worthless except for the fact that speculators are piling in, hoping that there’s a bigger fool after them. Also Chinese are using it to get around capital controls. There’s a good chance this will be true for a while – it’s tulipmania and most people don’t understand the technology, nor care about it. At some point there will be a reckoning when the jig is up on the useless/me-too cryptocurrency ICOs that are simply copies of the bitcoin code. Anyone who can clone a git repository and run make can create their own variant. Most people don’t realize the Chinese/Mongolian/etc. miners are repeating the same work for the ‘secondary’ ICOs. It’s like Bitcoin is the Mona Lisa and every other crypto ‘currency’ is a digital photo of it. The bottom will fall out. Bitcoin is sound, everything else is a rip-off, including Litecon. Even Paris Hilton is getting in on it with Lydiancoin, which is totally worthless – they tell you as much. That said, even Bitcoin is not a store of value: it’s like trying to use stock certificates as money. If the value of the stock certificate goes up after you send it to someone, you just lost out significant cash. See the $30 million dollar pizza – bought with 10,000 Bitcoin which would now be worth over $30 million. At the time it was worth around $20. That’s not a valid and reliable system of monetary exchange. The technology works but the investment aspect does not. GOLD and SILVER ===>>> “Crypto-currency” for CAVE PEOPLE! When are shells, sticks with notches, and tulip bulbs making a comeback? Intuit provides its clients with the QuickBooks Connection Diagnostic Tool to solve all network issues, data file damages and a few other problems that commonly occur in the QuickBooks bundle of applications. The tool is designed to automate the diagnosis and resolution of the commonly occurring bugs and errors in QuickBooks. I really thank you for investing your valuable time for sharing such useful information with all of us. Please keep on sharing similar posts in the future.